I have written in the past about how to make money blogging, but not all moms want to start a blog. 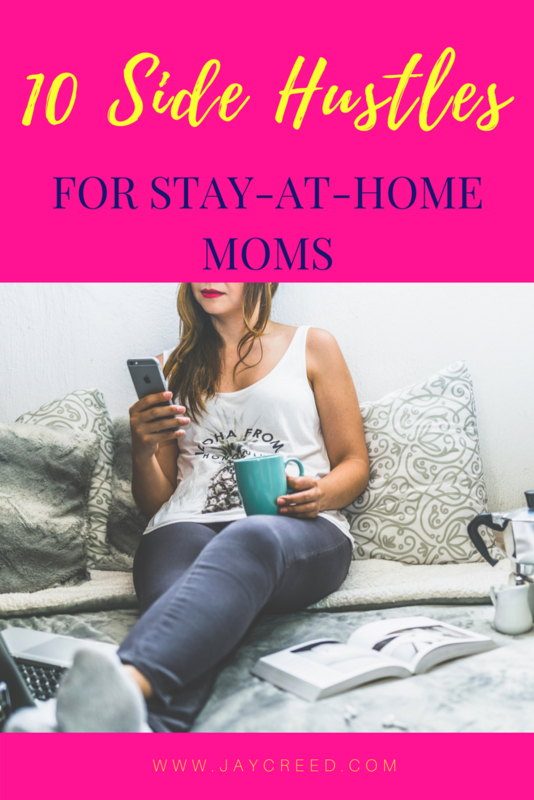 However, moms do like to find ways to save money and find a way to earn some extra income from home. Having a side hustle or two can be a way to earn extra money. Below are 10 side hustles that are perfect for stay at home moms (or dads). Yes, it still has to be mentioned. It may not be an easy or the get rich quick type of side hustle, it can become a good source of income if you treat it like a job and put in the effort. Plus, you set your hours and you are your own boss. Are you interested in starting a blog? If so, get your Start a Blog a Quick Start Guide. This guide will give you the kickstart you need to get your first blog post published on your blog. This is an online marketplace for freelancers. Take a skill you already have and turn it into a side hustle by making income from it. It’s great for writers, graphic designers, social media experts, and more. This is a great way to earn some extra income and VA industry is thriving. I’ve done work as an independent contractor for a Virtual Assistant Company as a full-time VA. You can do data entry, social media, blog post writing, scheduling appointment, etc. You can also get tasks from Fiverr or Upwork. It’s a great side hustle for a stay at home mom. Writing for websites is a great way that you earn some extra money. Long as you have your article written before the deadline, you can work around the little one’s schedule. You will want to work on building a portfolio, you can do this by guest posting on different blogs. Similar to Fiverr, but you will be able to find short-term and long-term jobs. Some jobs may last a day or two, while some jobs may last a month. If a client really likes your work, they may always come to you to do jobs for them. If you know are amazing in science, math, literature, consider sharing your skills with students. You can tutor elementary or high school students. You can set your own prices and if you tutor in advance subjects such as advanced-placement calculus or advanced-placement physics, you can charge a higher rate. Can you make amazing crafts, homemade candles or soaps, etc.? You can sell your crafts on Etsy and earn some extra cash doing something you enjoy at the same time with this side hustle for a stay at home mom. 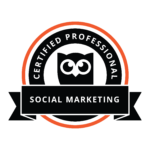 There are many companies (big and small) that are looking for social media gurus to handle their social media. You would be creating posts and scheduling them, engaging with your client’s audience on social media. This is also a side hustle that you can do even on vacation. Check out Upwork for jobs. There are many ways now that you can sell clothes, household items that still work, but you don’t use anymore. There’s eBay which has been around for years. But now, there are apps like Poshmark, ThredUp, Tradesy, etc. that you can sell clothes, shoes, handbags, etc. Ok, so I’m going to throw this option out there. There are tons of apps and websites (survey sites) that you can earn some extra cash. Two that I love, Ebates and Ibotta. I used Ibotta every single time I shop. Ebates I have the Chrome extension on my computer so that when I’m online shopping, I get a notification that I can get some cash back. I’ve cashed out (NOT gift cards) on both of these. That is the only reason I’m sharing these.